“We need to rethink the narrative and start managing forests for water” said Professor Irena Creed from University of Saskatchewan in Canada, at the most important and inspiring events at this year’s World Water Week in Stockholm (!). She continued her key note speech by quoting a recent report from the Global Forest Expert Panel (GFEP), that water is central to all 17 Sustainable Development Goals and must be higher up on the international agendas. Climate, forests, water and people are interconnected and must be managed as a system. Halting deforestation, preventing forest degradation and restoring forests is crucial for water security. The event was organised by FAO, IUCN, IUFRO and SIWI Swedish Water House, four organisations who collaborate to push for the forest/water nexus, i.e. 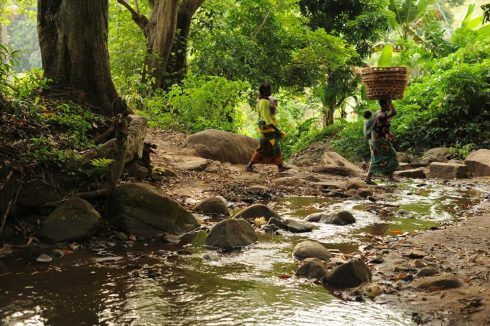 the inter-linkages between forests and water, to be considered more in forest management, policies and research, for the benefit for food- and water security, biodiversity and climate. Within this collaboration, forest and water professionals are invited to discuss and identify what important messages can be advocated in international processes for sustainable development. Read more in the report “Championing the Forest-Water Nexus”, released earlier this year by SIWI Swedish Water House.